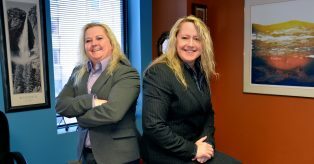 Having always wanted to own their own business, Carla Mowery and Stephanie Elder formed Gallant Background Checks in Tulsa in September 2009 and have continued to grow, later opening a mobile, on-site drug testing and finger printing company. The business conducts background checks, drug tests, personality tests, private investigation, and consent based social security verification. They both have many years of experience in the background checks service industry and law enforcement field. With a 100% client retention rate, they credit this success to their passion for having wonderful working relationships with all of their clients who become part of their team. They love to celebrate successes together with their employees as well as invest in young entrepreneurs to get them excited about future businesses. Gallant Background Checks can assist any type of business, local or international! Gallant Background Checks is dedicated to shielding your organization. For more info contact Carla or Stephanie at 800.440.2986 or visit www.gallantbackgroundchecks.com.